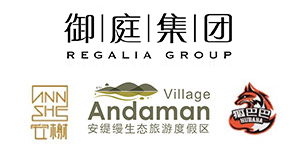 Welcome to Regalia Group! Here we share the same passion and advocate the concept of eco travel, healthy lifestyle and sustainability, providing with eco resort facilities, wellness, outdoor adventures, food & delights, corporate, team building and other services. “Creating extraordinary experience, leaving the eternal memories” is our main goal. We strive to share our passion by creating unique tourism holiday destinations and surpassing expectations. Become a leader in tourism and leisure industry. Provide travellers with more distinctive and authentic experiences.